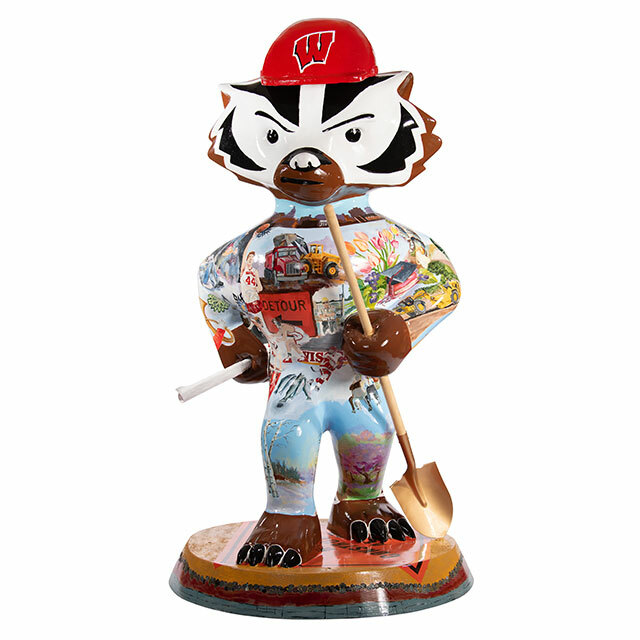 “Construction Season,” Wisconsin’s unofficial fifth season, means it’s time for this Bucky to get to work! 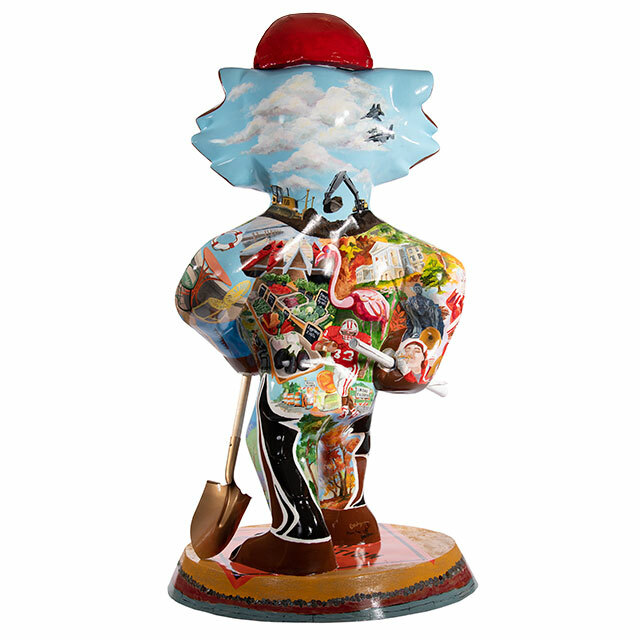 Construction scenes, iconic Madison spots and the beauty of Wisconsin’s seasons cover this hardworking statue. Art is what brings joy to Brenda's life, while it is not her career, she does not see it as a hobby either but more a place of retreat and freedom that is always available when needed. For Lexi, a Madison College and UW-Whitewater art student, fine art is a hobby whereas design or commercial art is her career path. Both Brenda and Lexi have connections to the construction industry.